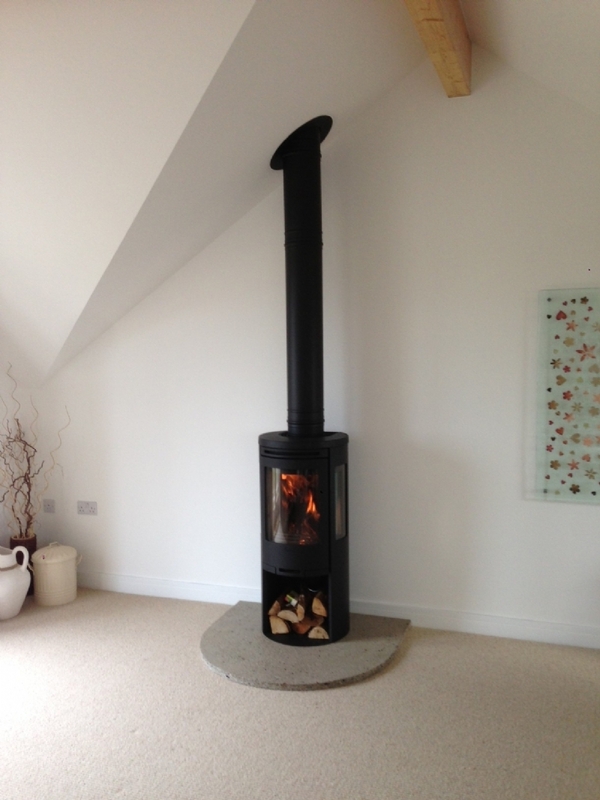 Contura 556 on homemade hearth wood burning stove installation from Kernow Fires. 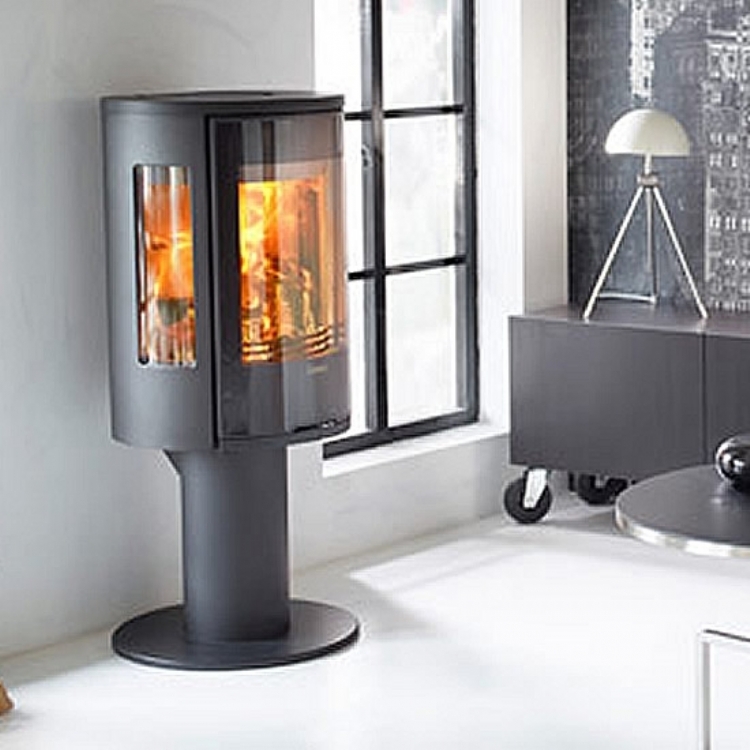 Working with the client to ensure regulations are covered the client made up the D shaped hearth using all sorts of none combustible material including broken glass and it did look fabulous against the stove. 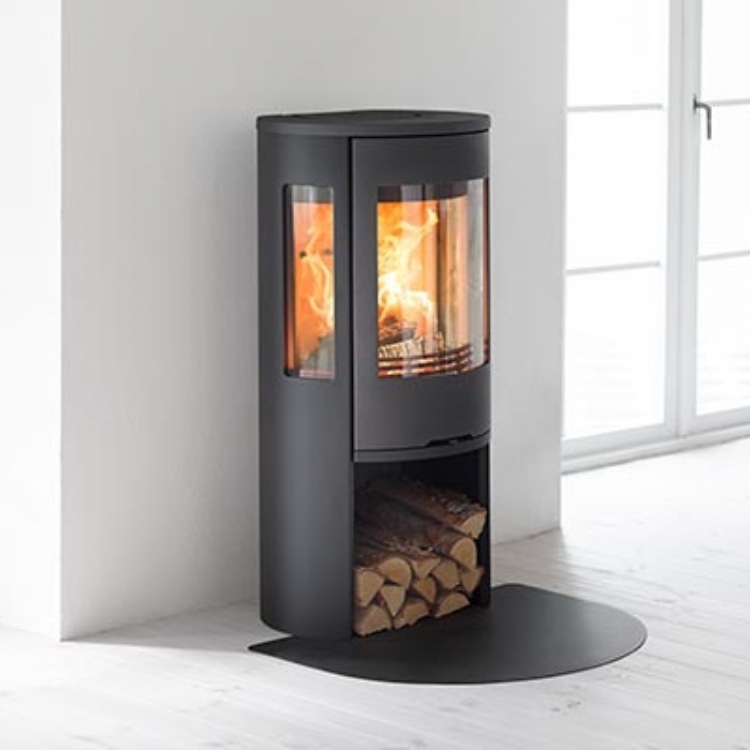 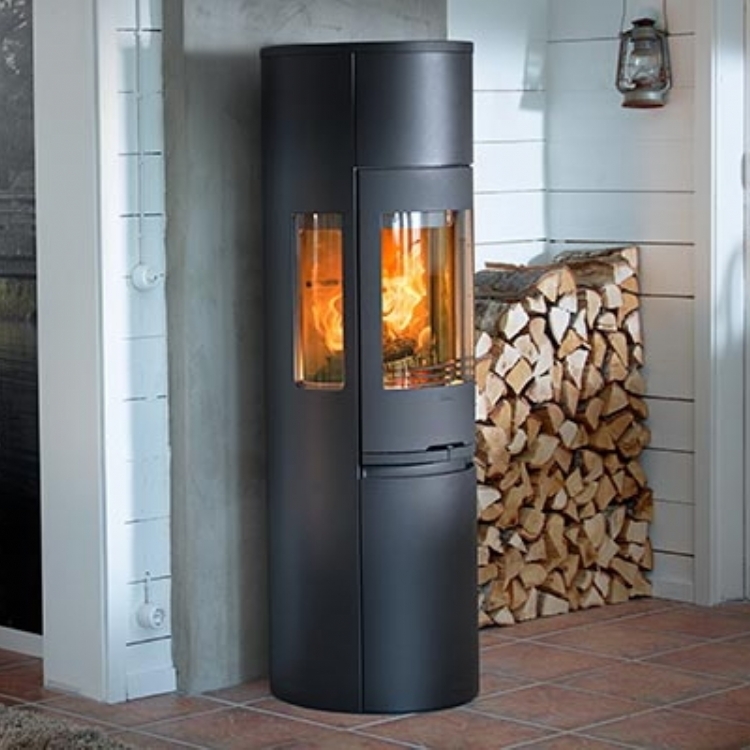 The black Contura 556 sits happily on the hearth and the flue system continues out through the roof to regulation height.